Last Chance restored this 1955 Ford Panel Van as a promotional vehicle for MOLSON COORS. 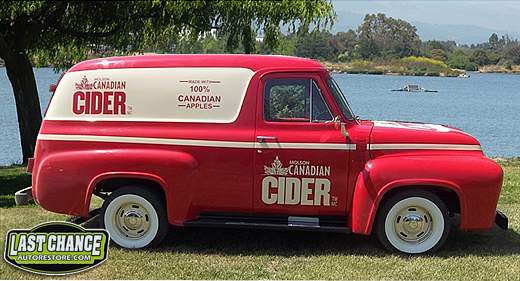 It will be travelling across Canada to promote their Molson Apple Cider. We have also completed the restoration of two movie vehicles for the big screen, including a truck, a bus and a car. You have the option to purchase any of our vehicles online. When you see a vehicle that you want simply enter the STOCK number into the PayPal form. Your deposit will be regarded as an intent to purchase and it will be reserved for you! You deposit is 100% refundable. No questions asked. From basic patch panels to replacement panels such as cab corners, rocker panels, quarter panels, floor pans and more. Full rotisserie restorations are available for any size of car or truck. We can provide your choice of stock factory interiors, mild, custom or radical custom interior designs. Just tell us what you want. Have you reached an impasse? Call Last Chance. We will bring our shop to you and get your project moving again. We can rebuild factory stock or customize with chrome, headers, anything. Last Chance can provide the power and performance you want. If you can dream it we can build it. 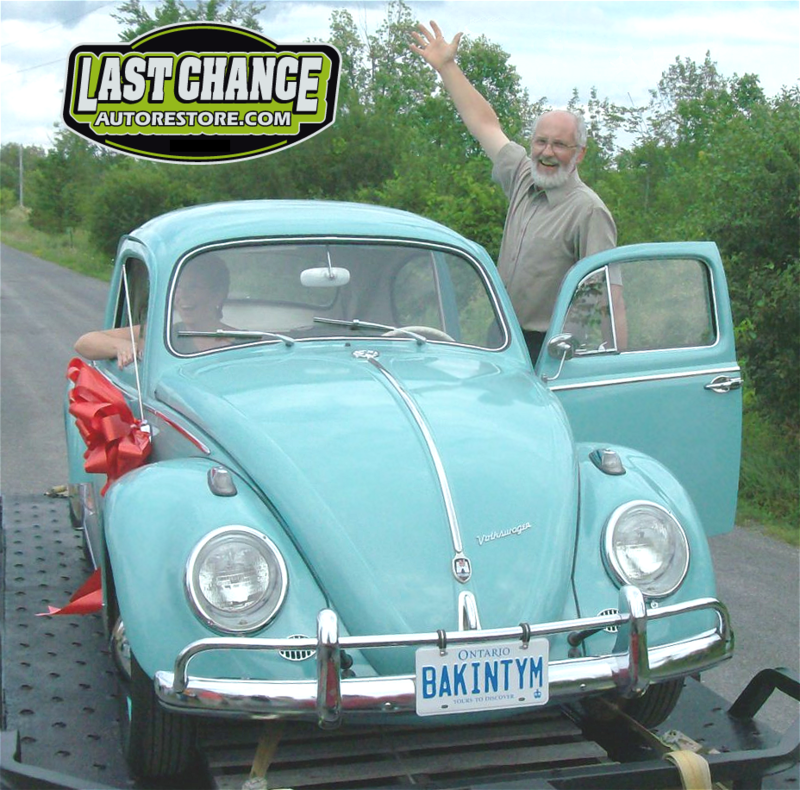 Last Chance can turn your dream ride into reality. Want a specific vehicle you can't find? We can find and restore it to your exact specs. Is your car in pieces? Are you stuck? Do you need critical welding? Last Chance can get you moving again. We can arrange pickup and delivery of any stage of project with our float service. Now anyone can comment on any vehicle. Have a question? Want to comment? Now you can. Now you can watch the restore process in video slide show format. Videos include cars, trucks and Volkswagons. As of 2016 our restoration facility has doubled in size. View the YouTube slideshow of the original raising-of-walls..! We are collecting and sharing our road trip photos. They will be posted here very soon...!